Gosport’s independent lifeboat came to the aid of two stricken vessels in quick succession on Friday night. Gosport & Fareham Inshore Rescue Service’s (GAFIRS) voluntary crew were paged by UK Coastguard at 2120 to assist a yacht that had issued a Pan Pan emergency distress call. The vessel, which was located in the middle of The Solent, had fouled its prop and was quickly taken under tow by GAFIRS’ crew. 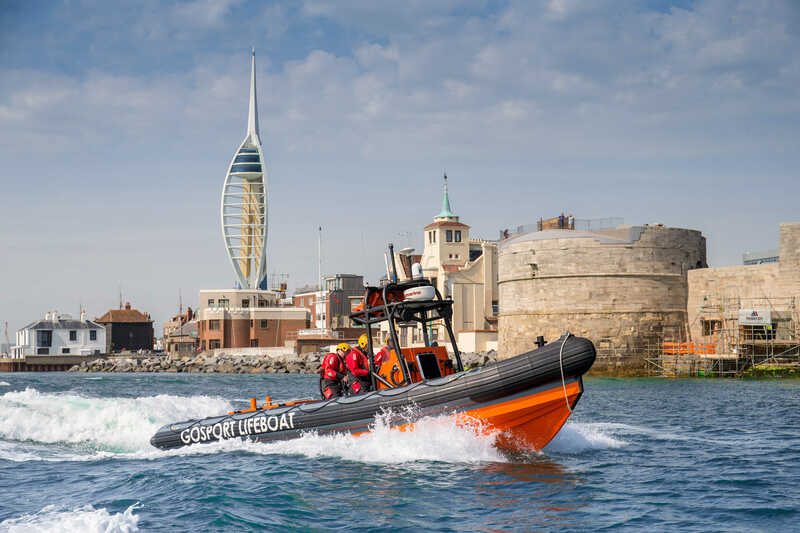 Just as that casualty vessel was being returned safely to its berth, Gosport independent lifeboat was tasked again by UK Coastguard to assist a second yacht in distress. This time a 45ft motor cruiser, with three people on board, had suffered engine failure near Portchester Castle, Portmouth Harbour, and raised the alarm. GAFIRS were soon on the scene and took the vessel under tow and it was safely taken to Port Solent where it was placed back on its berth. In total the rescues lasted five hours and were GAFIRS voluntary crews’ 86th and 87th operations in 2016.